ou might have a beautiful house, but if your house doesn't have a good roof, then it is not a home. 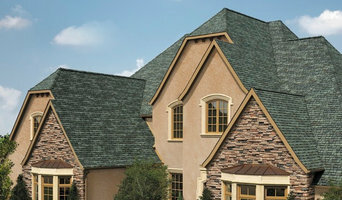 At JacobRoofing, we deal with every roof-related issue so that you can make your house your true home. We have a team of experts working for us who have been working in the field of roofing for decades. We have our offices at 3024 E Chapman Ave #204 Orange CA 92869 and we serve the entire Greater Los Angeles area and the surrounding towns as well. So, if you have any issues regarding roofing in Los Angeles, then we are the best option for you. At JacobRoofing, we offer a wide range of services related to roofing. From repairing your roof shingles to replacing your roofing material, from installing solar power panels in the most efficient way to remodeling your roof – we offer you everything and anything that you require. We have decades of experiences as roofing contractors in Los Angeles. So, you can rest assured that you would get the best results at the best prices from us. We are committed to excellence and giving you the best value for money. So what are you waiting for? Visit jacobroofing.com or call us at (714) 955-4977 to fix up an appointment and get a free quote today. At Vision interiors we believe that your home should be a reflection of who you are. We specialize in helping create environments that are not only beautiful but that tell a story. Your home isn't about us-it's about you. We listen to your dreams and use our design expertise to bring those dreams to life-your way! Our designers have been creating custom designs in Orange County and Los Angeles County for the last 11 years. All our designers are also required to be NKBA and CAPS certified. Most importantly, we require that our designers have a passion for what they do and a passion for helping bring our client's vision to life. Feel free to reach out to us, we would love to hear from you! 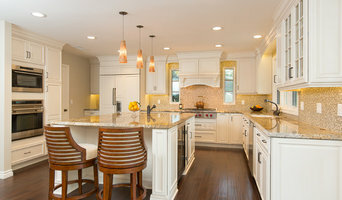 CustomBuilt-ins.com / CFM Company Inc.
Best of Houzz Winner 2013-2019, 7 Years in a Row! Winner of 10 Houzz Design and Service Awards! FACTORY DIRECT MADE LOCALLY. For over 30 years, CFM Company Inc. has specialized in creating real wood individually made custom architectural cabinetry, furniture, built-ins and millwork. Buy Factory Direct from our family-owned company in Southern California. Get the color, finish, size, materials, design and style you want to create a space all your own. Each piece is engineered to order and bench made, by hand, from the start to finish. Our batch size is one. We create built-in media niches, entertainment centers, home offices, and wall units, real wood or melamine closets, custom finished kitchens, wine spaces, bookcases, library spaces, linen cabinets, vanities, and even garages. We also build armoires, free standing entertainment centers, wall units, buffets, hutches, corner units, bookcases, dressers, coffee tables, computer armoires, computer desks, and can replicate many casegood furniture pieces in any size, color and configuration you could think of from a picture or sketch. Our furniture and cabinetry have been used in TV shows, found at Disneyland, and have been found in sports and celebrity homes as well as private residences across Southern California, the U.S. and abroad. While our furniture is available nationwide, our built-in cabinetry and installation services are available primarily in Southern California. Our artisans are experienced with between 10 to 25 years experience in custom cabinetmaking, finishing and/or custom furniture. We offer a complete woodworking design and build solution. We build to order every piece whether it be a custom armoire or the entire cabinetry for a home. Design and built to suit your individual needs and budgets in a range of materials and styles. We still make most of our products using real wood -- no particle board. We make 98% of what goes into your cabinetry ourselves -- each piece of real wood moulding, solid wood mitered or five piece cope and stick doors, dovetailed drawers. Every cabinet is made using traditional American framed furniture grade or European style frameless cabinet construction. We don't usually outsource to maintain control over quality and turnaround times. We finish every piece in-house in our finishing facilities using environmentally friendly products. Need custom color matching -- not a problem. We like unique -- our style is varied as our clientele. MYD studio is a Southern California based small architecture firm that values an integrated, client-focused approach to provide design solutions that are sustainable, functional and beautiful. MYD offers complete architectural services for new homes and residential renovations, as well as design build options for project management and construction coordination throughout Orange County. Vickie Daeley Allied Member, ASID President - Head Designer Vickie Daeley attended The Fashion Institute of Merchandising and Design and is a member of The American Society of Interior Design. Vickie’s nearly 25 years of design success have been applauded by clients and featured in numerous decorating publications. Her creative passion began many years ago as she learned the art of sewing as a young girl. “Unfortunately this seems to be an art from yesteryear…” says Vickie, “The art of sewing helped me to understand the basic mechanics on how things are actually built. The hand of the fabrics helped me to understand which fabrics would be best for different techniques. How they would drape or hang…and how manageable they would be. Not to mention developing the art of putting the fabrics together making a perfect masterpiece!” Shortly Vickie began to upholster furniture using old remnants and making her own window treatments. Vickie is someone you can trust as she listens to your hopes and dreams. And with Vickie’s reputation and commitment to interior design at its finest, it stands to reason that her entire design team is full-time employees who hold design certificates with degrees in Interior Design. Vickie’s interior design firm will fulfill your expectations by bringing you a qualified professional approach and providing you with a wide array of choices. At Interior Affairs our entire team is dedicated to providing interior design at its finest. Let us prove our commitment to you! Our Company is based out of Orange County and has been serving the Southern California area since 1999. Over the years our firm has completed dozens of projects many of which have been featured in various publications. Ultimately our goal is to create high quality homes, appropriate to their settings while at the same time being extremely functional. We offer a wide range of architectural services - from planning and program development, through design and construction documents, to on-site inspection. We maintain a consistently high level of professional care and responsibility in every job we do. We guarantee all of our work to be of the highest quality, as we know our clients would expect nothing less. Your project is our project. ASID AWARD WINNING INTERIOR DESIGNER Cindy has always loved all things related to art. Before shifting focus to her real passion of interior design, Cindy worked in the graphic design industry and also studied fine art. Her varied background allowed her to develop a particular understanding of balance, color, texture and scale that has enhanced her ability to create beautiful, livable interiors. Over the course of her 20 years in the industry, Cindy has won numerous ASID awards and has been published in several magazines and newspapers. Cindy loves the design process and believes that understanding each client's unique needs is necessary in creating the perfect design. Working directly with you and your vision, Cindy can bring your dream space to life. Our dedicated in-house team of designers, architects, and builders strive to create a functional, customized living spaces unique to your personal style. We are committed to providing you with the highest service and craftsmanship throughout your home remodeling project. If you're searching for a home remodeling contractor, custom home builder, or room addition contractor in Los Angeles, contact us today to schedule a free consultation & personalized quote. Watch the video of our latest complete home remodel in Studio City, CA <a rel="nofollow" target="_blank" href="https://goo.gl/7rjinR">https://goo.gl/7rjinR</a> Who We Are: LEVI Construction is a family owned and operated Design, Architecture and General Construction company (also known as a Design Build Firm). We specialize in designing and building custom homes, major home remodels, and room additions in Los Angeles, CA and surrounding areas. Our experienced in-house designer, architect, engineer and builders have the ability to design and build your project from start to finish, holding your hand every step of the way. About Us: Levi Construction is a licensed, bonded and insured design build construction company based out of Canoga Park, CA servicing the Los Angeles and SFV areas since 2007. Our license number is 988036. Our dedicated in-house team of architects, designer, engineers and builders are accountable for designing, planning, managing and completing your project from start to finish. We are more than your average Kitchen & Bath remodeling firm. The designers here at Le Gourmet Kitchen are all consummate home chefs and our business is tailored to create beautiful and functional kitchen designs that help inspire cooking and great memories. We know that the time spent entertaining family and friends is precious and we take pride in creating the perfect environment to ensure it. 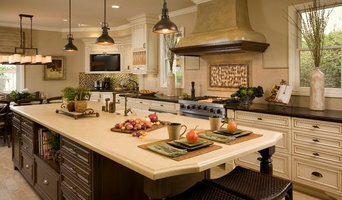 We’ve proven our success for 25 years with over 1000 completed kitchens here in Orange County. Visit our web-site, browse our gallery of work, read our testimonials and see what countless happy clients have said about us. We also encourage you to call us for a free consultation in our showroom. Our showroom features unsurpassed products for your home, from cabinetry, appliances, counters and floors you can be assured they have all been time tested and have met with our stamp of approval. Whether you are remodeling a kitchen, updating your cabinetry or just replacing your worn-out appliances we are always here to help guide you in the right direction. "Although All Kitchens Cook Our Kitchens Sizzle!" Thank you and we look forward to seeing you soon. Grace Blu Interior Design is an award-winning boutique firm, that provides exciting and cutting edge designs for discerning clientele for both residential and commercial interiors. Design principal Rona Graf and her team are committed to creating timeless contemporary environments by juxtaposing modern elements with iconic classics. Grace Blu prides itself on an unparalleled commitment to customer service and attention to detail tailored to each individual client. The firm's specialty is in creating distinctive artistic and imaginary designs that exceed the ordinary. Grace Blu believes in collaboration first and foremost, where building long-lasting relationships with clients and members of the trade alike are absolutely essential in order to achieve success. Grace Blu looks forward to cultivating these new relationships and to create inspired interior design. Even if you're the kind of person who makes everything a DIY project, there's always a point when a home remodeling or decorating project could use a professional set of eyes. Whether you are redoing your backyard, need some help planning your living room or can't figure out where to put the kitchen sink, a quality home professional in Orange, CA can help you do it right. Hiring a qualified Orange, CA home professional puts their years of schooling, certifications, training and experience right at your fingertips. But before you start sending out dozens of emails and making phone calls, sit down and think about your project. What's your budget? What is the scope of your project? Will you need more than one type of professional to complete your home improvement project in Orange, CA? Can you afford to complete the full project now, or should you tackle it bit by bit? Once you've settled on your project’s priorities, budget and scope, it's time to start researching Orange, CA home design professionals. Don't sell yourself short and settle on the first professional you set your sights on. Make sure that you're working with someone local, who can get to the jobsite easily and efficiently. Look into the person’s reviews, ask to speak with former clients and to see previous jobs in person. Take a good look at their portfolio photos: How similar are these projects to your own? Be honest — that mansion might look beautiful, but it might not have a lot in common with your little bungalow. Reach out to multiple professionals — especially for larger projects — and don't settle for the first bid you hear. Comparing multiple Orange, CA professionals' bids and experiences can help you find the one that’s best for you. Ask a lot of questions now, so you won't have unexpected answers later. Find a home design professional on Houzz. Narrow down your search by type of professional and location. Browse Orange, CA portfolio photos, read client reviews and contact each Orange, CA professional for more information. Check out the information in the specialized professional sections too for tips on how to hire the right professional for your project.